Handles and pulls are essential for furniture antique and modern. 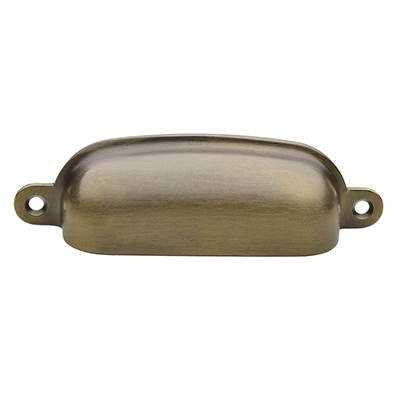 As a result, Horton Brasses' selection of handles, knobs, and pulls encompasses a variety of styles, sizes, and functions, from versatile and classic ring handles to elaborate and distinct Victorian drop pulls. 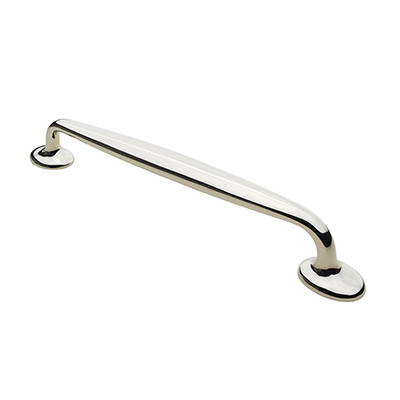 Iron, brass, and even wood are incorporated into our reproduction handles, which accurately reflect period styles ranging from the 17th to early 20th century. For those restoring antique or creating reproduction furniture, the right set of handles is a must. Why? Details define a period, and settling for modern brass handles does not do the architectural style justice. An elaborate back plate, a delicate pull handle, or intricate design contributes to the overall appearance and authenticity of the antique or reproduction furniture's appearance. 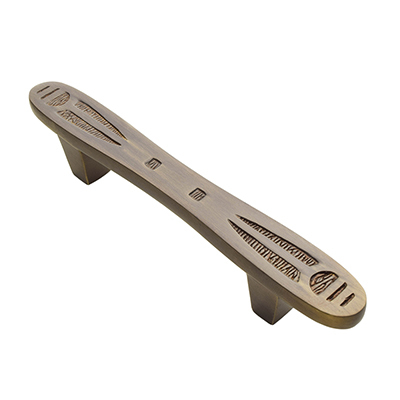 Our forged brass, cast brass, crescent or Queslett Pulls have a smooth, one-piece design. 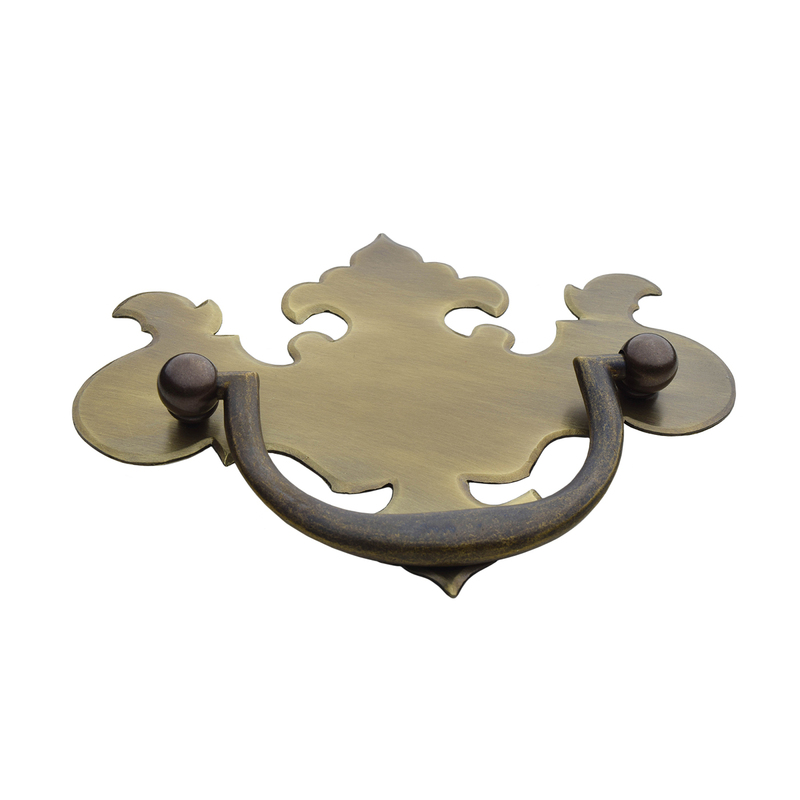 Made out of forged brass, these handles are the right size for the kitchen or drawers. Our cabinet pulls encompass several sizes, types, and styles, from smooth to elaborate, but all are designed to match antique cabinets. The rounded, corner-free design is so versatile, however, that these metal handles are additionally suited to modern cabinets and appliances. 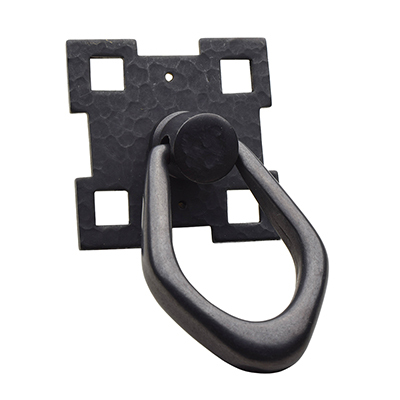 Drop Pulls are characterized by a loose, swinging handle that hangs from the center. Within this basic design, the handles and back plates come in various shapes, from long and angular to round. 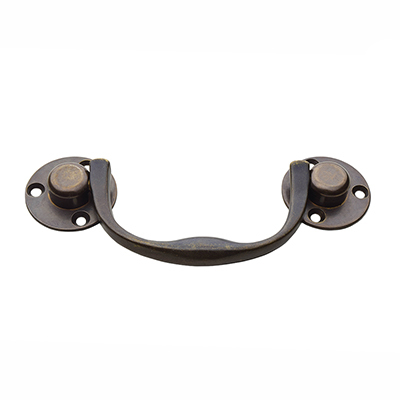 Horton Brasses typically designs drop pulls out of brass, although Victorian-style handles include black-finished wood. Drawer pulls perfectly complement refurbished antique furniture. For drawers of all sizes, these handles feature a ring or bail pull at the center. 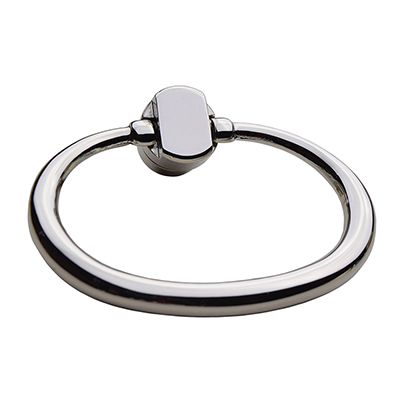 Ring pulls range from simple and elegant to elaborate. 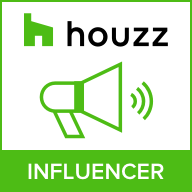 Made out of solid brass, each features a circular or oval-shaped ring at the center and a back plate. For a truly striking look, consider our lion's head-shaped back plates. Bakes Pulls are essential for the kitchen. Designed to fit in with cabinets, appliances, drawers, and refrigerators, each has a simple and smooth design that's as easy to grasp as it is to admire for its beauty. Chest lifts, contrary to their name, assist with stabilizing a trunk or box, which should be carried from the base. Because trunks and other such boxes vary in size, Horton Brasses offers such handles in brass, iron, and leather.